Thank you, Katharina Scheiter, for visiting CrossWorlds! Comments Off on Thank you, Katharina Scheiter, for visiting CrossWorlds! 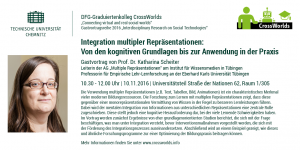 As announced, Prof. Dr. Katharina Scheiter visited CrossWorlds yesterday and gave an amazing talk on multiple representations in multimedia learning. The audience from many disciplines and departments across the university was very impressed and excited about the high quality of the presented research and enjoyed the vivid discussion! 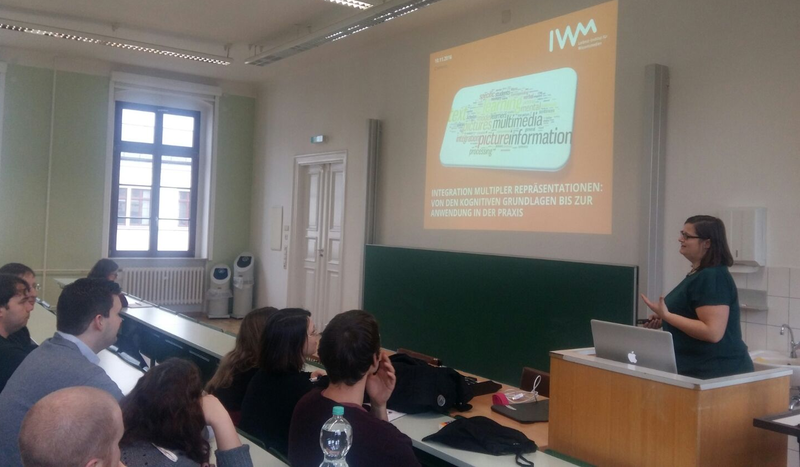 In addition, our guest provided insights into the work at the Leibniz-Institut für Wissensmedien and gave beneficial career-related advice to our young researchers during the afternoon meeting and the really enjoyable social evening. Many thanks to you, Katharina Scheiter, for visiting Chemnitz and sharing your experiences with us! 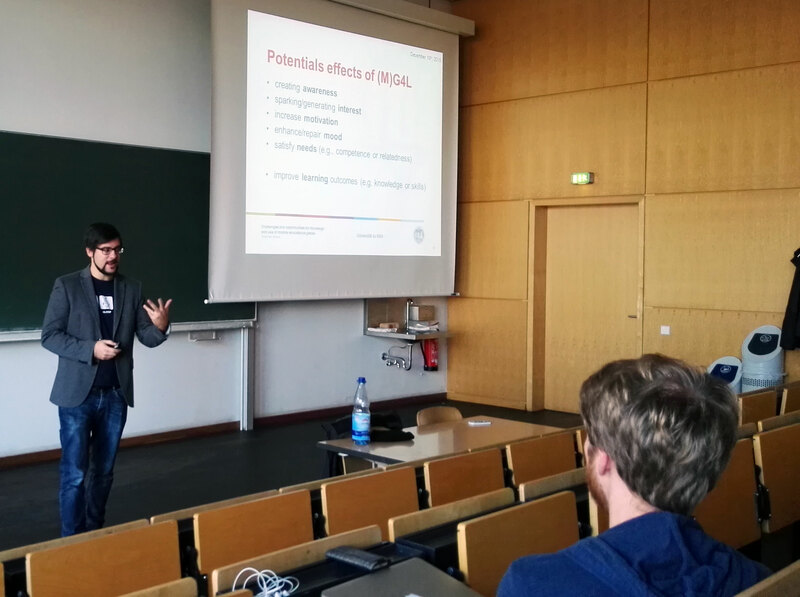 Last week Dr. Johannes Breuer visited CrossWorlds and gave an inspiring talk on Mobile Learning opportunities. 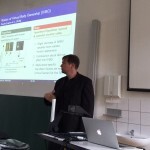 He also discussed first results from a current project, where Dr. Breuer and his team develop a quiz-game application for the University of Cologne. This app is designed to help students prepare for exams and uses gamification techniques from popular apps like Quizkampen (“QuizDuell” in German). 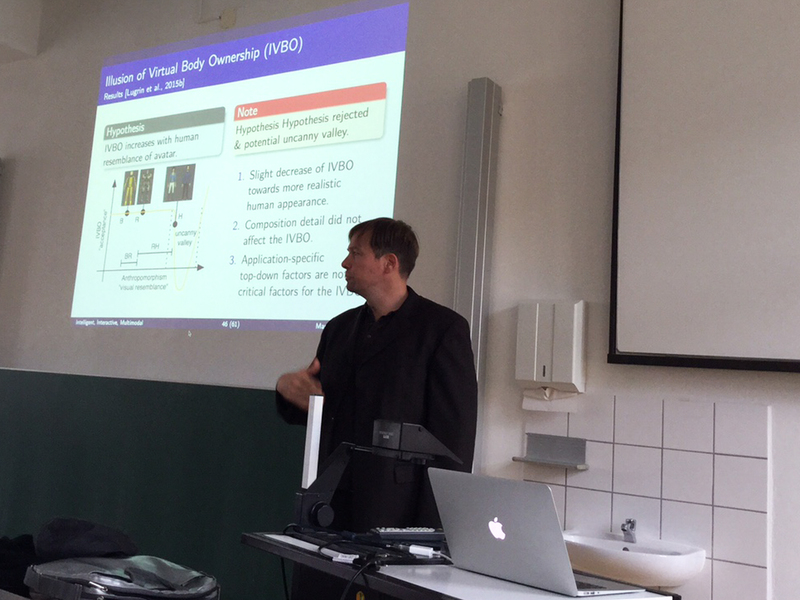 We had a great time with Dr. Breuer and hope he enjoyed his stay in Chemnitz. 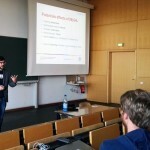 Besides social activities in small groups, the workshop after the talk offered yet another chance to discuss research. 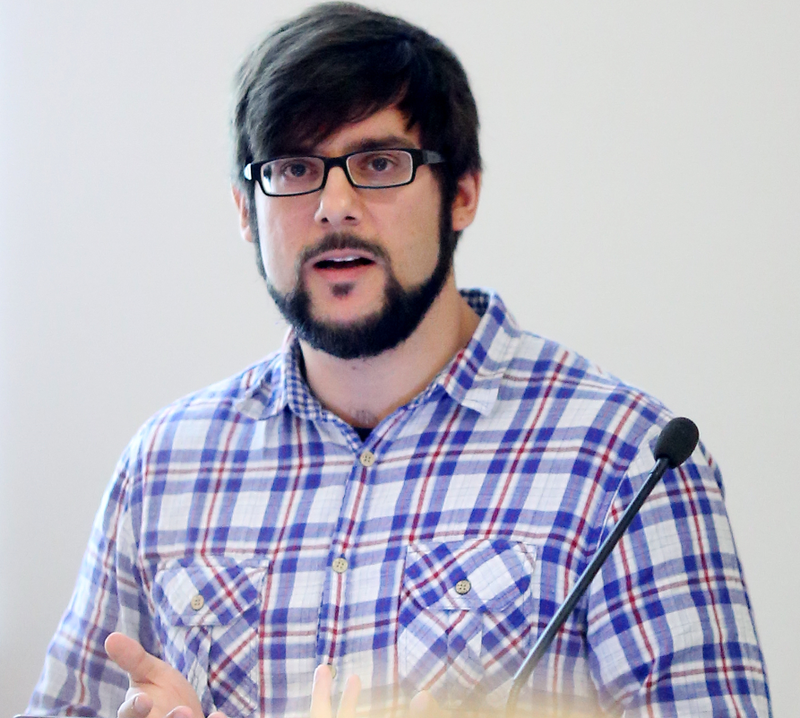 You can download the slides from Dr. Breuers talk here (PDF, 1,5 Mbyte). Thank you for sketching with us, Sheelagh Carpendale! Comments Off on Thank you for sketching with us, Sheelagh Carpendale! At the beginning of last week, Prof. Sheelagh Carpendale visited our group for two exciting and productive days. We enjoyed one of her famous “Sketching Visualizations” sessions, where even colleagues from Dresden joined, and intensive discussions about ongoing and future research projects of both sides, also stimulated by her talk about “Interacting Information through Visualization”. Fortunately, there was even time to visit the Christmas Market and chat through the evening with a warm drink. We are happy to annouce that Dr. Johannes Breuer will be visiting Chemnitz this week. Dr. Breuer will be giving a talk in our series on “Interdisciplinary Research on Social Technologies” titled “Can smartphones make people smarter? 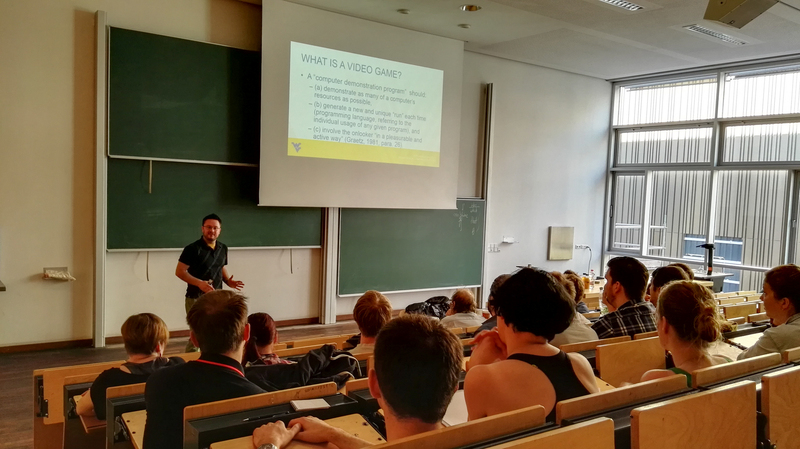 Challenges and opportunities for the design and use of mobile educational games” on December 10th, 9.00-11.00 am in Room 2/N013 (Neues Hörsaalgebäude). 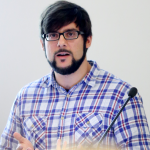 Dr. Breuer will discuss the potential of mobile games for learning in secondary and higher education, based on experiences and first results from a recently started project on the development and use of a mobile quiz game for higher education. CrossWorlds invites all interested students and university staff to attend the talk. Please spread the word! You can read the abstract of the talk and a short bio of Dr. Breuer after the jump. CrossWorlds is honored to announce the visit of Prof. Dr. Sheelagh Carpendale, professor at the University of Calgary in Canada. 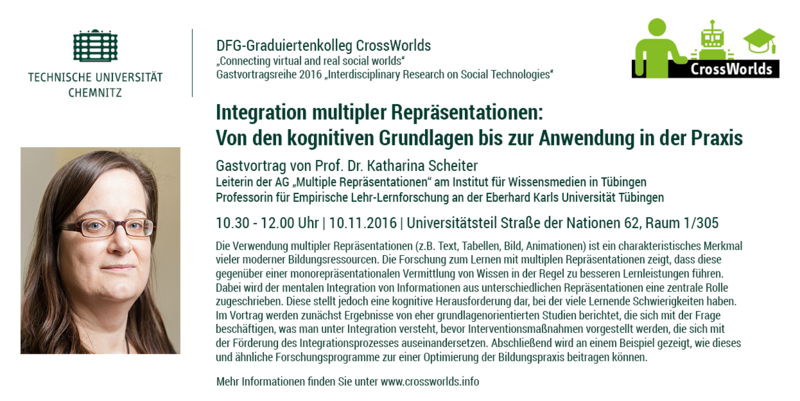 She will be in Chemnitz from November 30th till December 1st and introduce us to her research “Interacting Information through Visualization” at December 1st, 11.00 a.m. – 1.00 p.m. in the N113 (Neues Hösrsaalgebäude on the Reichenhainer Straße). There she will share her expertise in the areas of Information Visualization and Interaction Design with us. CrossWorlds invites all interested students and university staff to attend the talk. 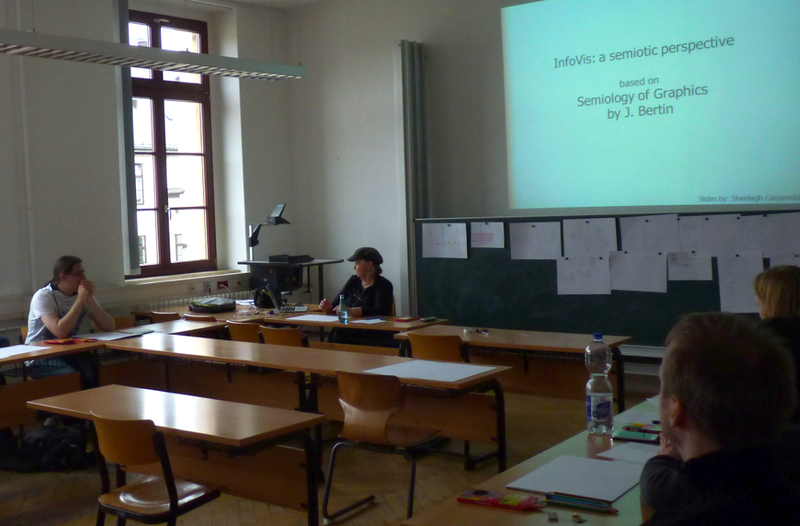 Thank you for visiting Chemnitz, Verena Nitsch! Comments Off on Thank you for visiting Chemnitz, Verena Nitsch! As already announced, within the last two days Jun.-Prof. Dr. Verena Nitsch, Assistant professor of Cognitive Ergonomics at the Universität der Bundeswehr München, visited CrossWorlds. We really enjoyed a workshop filled with enlightening discussions on our respective fields of research, and spent a nice evening in one of the most sophisticated restaurants in Chemnitz. To our great pleasure, yesterday’s talk was attended by a considerable amount of students and colleagues from various disciplines and departments. It provided fascinating insights in the role of multimodality in human-machine interaction, and taught us that even robots can express a sense of humour! Thank you Verena Nitsch for two great days, and we hope you enjoyed your stay with us as well! Right with the start of the new semester, CrossWorlds proudly annouces the visit of Jun.-Prof. Dr.-Ing. Verena Nitsch, Assistant Professor of Cognitive Ergonomics at the Universität der Bundeswehr München, from October 26-27th. 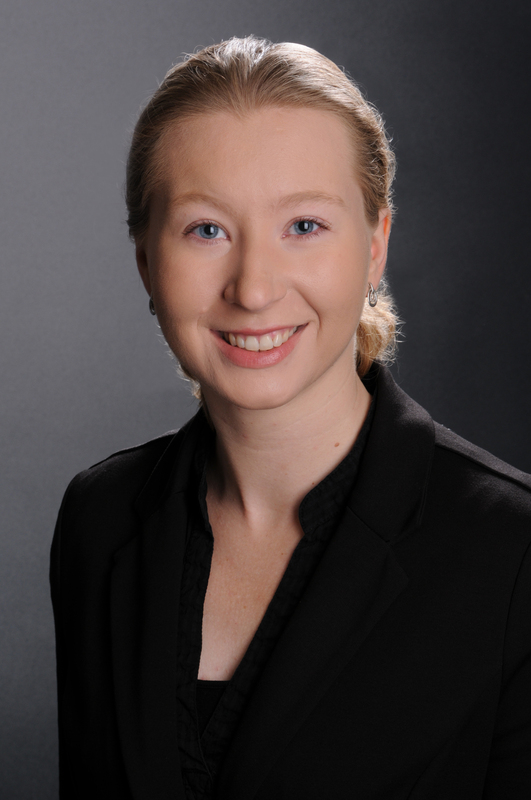 Within our series of talks on “Interdisciplinary Research on Social Technologies” she gives an exciting lecture on “Natural Human-Machine Interaction: is multimodality the key feature of the Natural User Interface?” at October 27th, 9.30-11.30 a.m. in Room 1/305 (main building, Straße der Nationen 62). The talk will provide fascinating insights into research on the design of multimodal human-machine interfaces and discuss challenges arising from this approach as well. You can read the abstract of the talk and a short bio of Jun.-Prof. Dr.-Ing. Verena Nitsch after the jump.